After taking the new ASUS Nexus 7 through the hoops of our review process, we are happy to tell you that the slate is almost everything we hoped it will be. As a successor to the most popular tablet in the Android kingdom, the 2013 Nexus 7 ticks just about every box in the requirements' lists of upgraders and new users alike - it is compact, good-looking, well-built, and powerful. We were mostly taken by the new display. It is so good that we were left puzzled why ASUS and Google didn't cook up a marketing lingo of some sort to promote its quality. It is a perfect companion for the new, now tablet friendly Google Play Store and the loads of content available on it. The chipset, though not the latest and greatest available at the moment, handled every task we threw at it with ease, while keeping it easy on the battery. Considering the price point of the tablet, we could hardly ask for more. Wireless charging is also a nice perk and the Nexus 7 2013 is the only tablet to offer it right now. As far as negatives go, we really wish that the newly added stereo speakers were facing forward instead of sideward - the sonic experience would have been significantly better. Our biggest regret is that there is no microSD slot to expand the available storage - this would have made the tablet an even better deal, but Google has priced the 32GB only $40 higher so it's anything but a rip off (in stark contrast to the situation with Apple's iPads). The 5MP camera is far from great too, though we must point out that our experience showed us that it is best suited for enhancing the video calling experience - mobile photography really comes second. Last year's lack of quality apps, which lead to Android delivering far from perfect tablet experience, has been somewhat addressed by Google. Everyone, but the biggest Apple iPad junkie is likely to find all the essential downloadable tablet software in the Google Play Store these days. The price of the ASUS Nexus 7 starts at $229 for a 16GB Wi-Fi version. A slate with 32GB of memory on board will cost another $40, while the LTE equipped versions will cost a still reasonable $349 for a device with 32GB of memory on board. Such aggressive pricing leaves the new ASUS Nexus 7 with practically no competition, considering the hardware on offer. If you insist on shopping around, here are some other options for relatively the same amount of cash. Samsung's recently launched Galaxy Tab 3 7.0 and 8.0 are priced at $199.99 and $299.99 respectively - right in the ballpark of the new Nexus 7. The Korean offerings pack less capable hardware - they try to make up for it by having TouchWiz-ed Android on board. The latter offers better multimedia support out of the box, but not much else, so they are not exactly the best deal out there. The ASUS MeMO Pad HD7 priced at $149 is significantly cheaper than the Nexus 7. The presence of expandable memory aside, its hardware is seriously inferior to the one offered by its Nexus-branded sibling. The Apple iPad mini, with a starting price of $329, is the option for those who are obsessed about having access to the richest catalog of tablet apps. Keep in mind however, that the gap is narrowing quickly in this area. 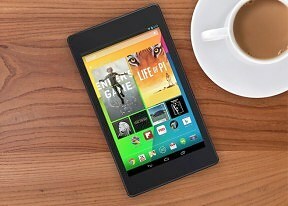 As far as hardware goes, the Nexus 7, again, offers more than the Apple entry in the segment. The price premium for the 32GB version of the iPad mini also makes the Nexus 7 a much better deal. Each of the alternatives to the 2013 ASUS Nexus 7 requires a level of compromise (and in some cases more cash) in order to rank as a proper alternative. Google's offering is really that good. Of course, we're yet to see Amazon's next generation of Kindles. These are expected in Fall 2013 and perhaps they can turn the scales in Amazon's favor. But until then, the Nexus 7 will be the sole ruler of the compact Android tablet world - or at least, a ruler in a certain part of the Android world, because unfortunately, this highly competitive tablet is not as widely available as we would have liked. Some key European countries are going to get it in the end of August and we are yet to see where it will go from there. Stepping back for a moment, it amazing how Google and ASUS began their joint-forces assault on compact tablet market only last year and they are already among the leaders. This time around, the latest creation to come of this partnership is leaner, meaner, and simply better than its competitors. Bar any unforeseen market shifts or severe inventory shortages, the new ASUS Nexus 7 is all but certain to deservedly be a massive success during its product cycle.